Romesh T. Wadhwani is the richest Indian American; others on the list are Rakesh Gangwal, Vinod Khosla, Kavitark Ram Shriram and Niraj Shah. Five Indian Americans figure in the 2018 Forbes list of 400 wealthiest Americans. Technology entrepreneur Romesh T. Wadhwani, ranked 271, tops the Indian American list with a net worth of $3 billion. Others on the list are IndiGo cofounder Rakesh Gangwal, venture capitalist Vinod Khosla, Google investor Kavitark Ram Shriram and Niraj Shah, founder of Wayfair. While the net worth of four of the five billionaires on the list went up, Gangwal saw his value go down by $1 billion since March, when he was the richest Indian American with a net worth of $3.3 billion. That’s because the share prices of IndiGo, India’s largest airline, plummeted by nearly 40 percent since March 8. The richest South Asian American is Shahid Khan, a Pakistani American who owns Jacksonville Jaguars. His net worth is $7.6 billion. 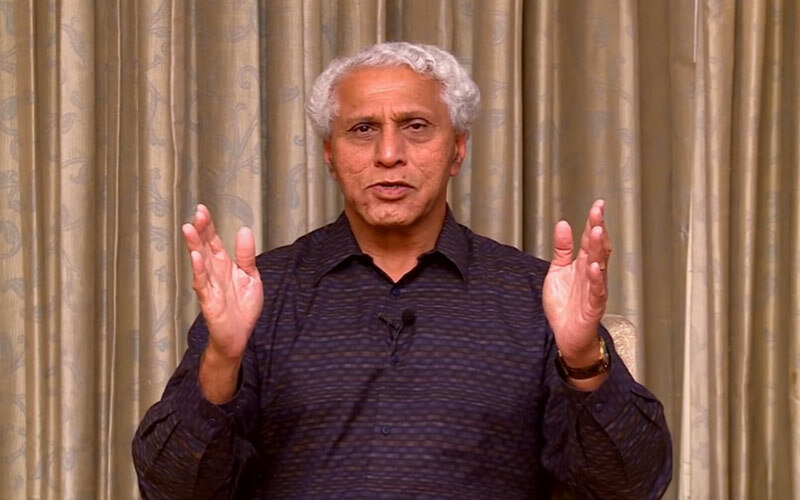 Romesh Wadhwani, the founder and CEO of Symphony Technology Group, is the richest Indian American, with a net worth of $3 billion. Born in present-day Pakistan, Wadhwani and his family moved to India during the Partition of the subcontinent in 1947. He came to the United States after earning a BTech from the Indian Institute of Technology Bombay to do a master’s and PhD degrees in electrical engineering from Carnegie Mellon University. His first major break came in 1999, when a company he founded, Aspect Development, Inc., was sold to i2 Technologies for $9.3 billion. Wadhwani, who is known for his philanthropic activities, sits on the boards of the Kennedy Center and the Center for Strategic and International Studies. 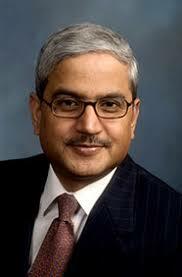 Rakesh Gangwal, co-founder of India’s biggest airline company IndiGo, is the second richest Indian American. According to Forbes, the airline veteran has a net worth of $2.3 billion. Gangwal made his fortune from InterGlobe Aviation, the parent outfit of the Indian budget airline IndiGo. Born in Kolkata, Gangwal earned a bachelor’s degree in mechanical engineering from the Indian Institute of Technology Kanpur. He came to the United States to do an MBA from Wharton. Gangwal started his career with United Airlines in 1984 and went on to run the US Airways Group as its chief executive and chairman. He co-founded IndiGo in 2006, along with Rahul Bhatia. Gangwal holds more than a third of the shares in the company. Currently, he lives in the Indian Creek Village, near Miami, Florida. Venture capitalist, Vinod Khosla invests in experimental technologies such as biomedicine and robotics through Khosla Ventures, a Silicon Valley VC firm he founded. Born in Delhi, he earned a bachelor’s degree in electrical engineering from the Indian Institute of Technology Delhi. After moving to the United States for higher education, in the 1970s, Khosla obtained a master’s in biomedical engineering from Carnegie Mellon University and an MBA from the Stanford Graduate School of Business. 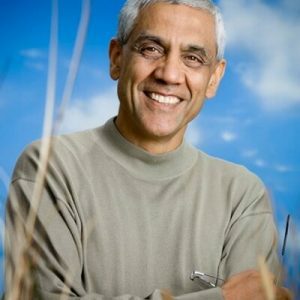 Khosla also cofounded computer hardware firm Sun Microsystems in 1982 with Andy Bechtolsheim, Bill Joy, and Scott McNealy. He left the firm in the mid-1980s to become a venture capitalist at firm Kleiner Perkins Caufield & Byers. He lives in Portola Valley, California. Kavitark Ram Shriram is best-known for being an early investor in Google. Before betting on Google, he worked for Jeff Bezos, the Amazon founder, who is currently the richest man in the universe. Born in Chennai, India, Shriram came to the United States after earning a bachelor’s degree in mathematics from the city’s Loyola College. 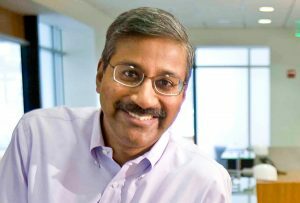 Shriram still remains on the board of Google’s parent company, Alphabet, despite having sold most of his stake. In 2000, he launched the venture capital firm Sherpalo to invest in young technology startups. 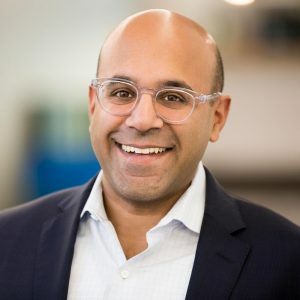 Niraj Shah, the co-founder and CEO of online home goods retailer Wayfair, is the youngest Indian American billionaire. Since March, his net worth increased by $600 million. He grew up in Pittsfield, Massachusetts, where his father worked for General Electric. He cofounded Wayfair in 2002, along with his Cornell buddy Steve Conine. The company went public in October 2014. According to Forbes, Wayfair has more than 10 million products. Last year, its net revenue was $4.7 billion, up 40 percent from 2016.